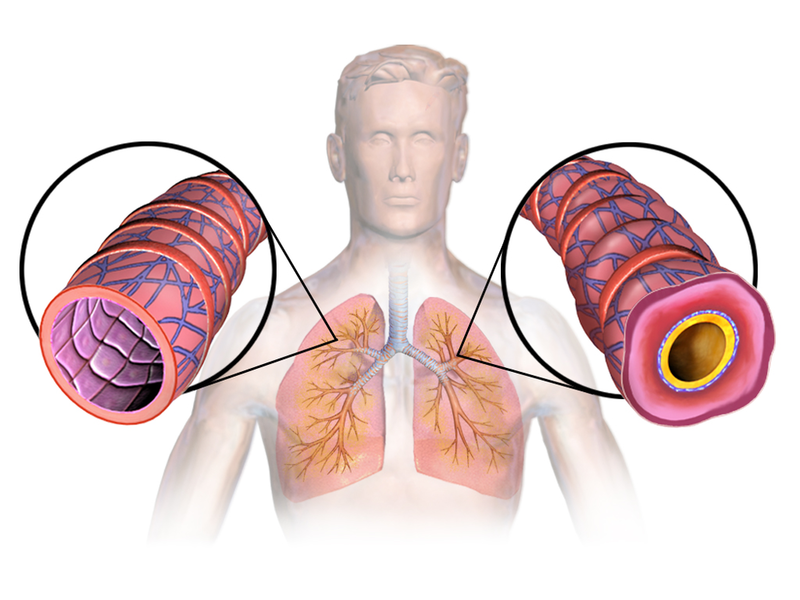 About 50% of patients with asthma have mild disease. Typical treatment regimens for mild asthma are either short-acting β2-agonists (SABA) used only during symptoms or daily inhaled glucocorticoid (ICS) regardless of symptoms. Recently, the NEJM published the SYGMA 1 (Symbicort Given as Needed in Mild Asthma)trial results -- an original article investigating alternative treatment strategies for mild asthma. SYGMA 1 trial was designed to compare well-controlled asthma weeks with among three asthma regimens used to treat mild asthma. This double-blind trial enrolled nearly 4,000 patients aged >12 years with mild asthma. Participants were equally randomized to either twice-daily placebo plus terbutaline used as needed (SABA PRN group), twice-daily placebo plus budesonide–formoterol (ICS/LABA) used as needed (Combination PRN group), or twice-daily budesonide plus terbutaline used as needed (ICS maintenance group). Patient's asthma control was measured based off two main measurements. The first being the "number of electronically recorded weeks with well-controlled asthma." This was determined by the use of as needed inhaler use from inhaler-monitor data, diary data for asthma control scores, nighttime awakenings, and morning peak flow values. The second measurement was the rate of severe exacerbations defined as worsening asthma symptoms that required systemic steroids for more than 3 days, hospitalization, or ED visit leading to use of systemic steroids. Patients were observed on the above regimens for a year. After 1 year of treatment in patients with mild asthma, combination (ICS/LABA) PRN provided superior asthma-symptom control to SABA PRN with decreased rates of severe exacerbations. Exacerbation rates of both the ICS maintenance and the combination PRN group were similar and were lower than the rate with SABA PRN. The combination PRN group was inferior to ICS maintenance therapy with the number of well-controlled asthma weeks. Of note, the PRN LABA/ICS group had a significant decrease in steroid exposure compared to the ICS maintenance group. These results suggest superior PRN control with LABA/ICS compared to SABA alone. An LABA/ICS PRN regimen may be beneficial over a maintenance ICS with PRN SABA regimen in patients with poor adherence to daily therapy.